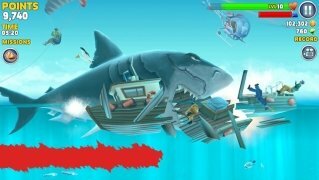 A shark needs to eat, and a lot, to be able to grow. 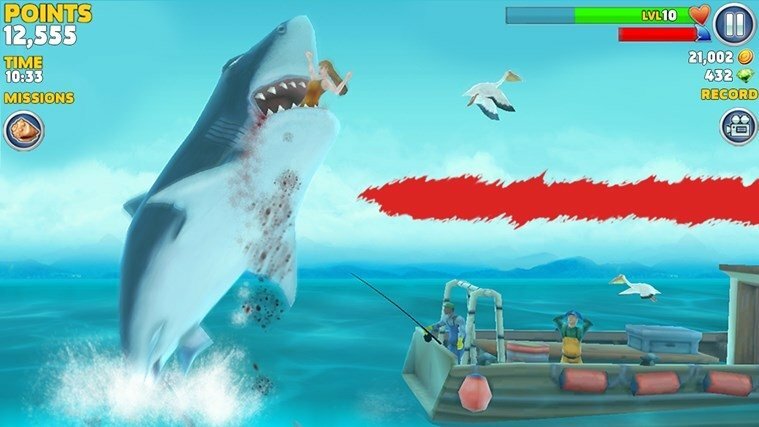 In Hungry Shark Evolution you'll have to help the main character to eat as much as it can to manage to become a ten-ton sharp-toothed fish. Turn your tiny fish into a great white shark. We'll be able to eat whatever we come across: sea creatures, turtles, fishermen, swimmers, strange creatures from the depths of the sea, boats, submarines... there's room for everything in our character's diet. 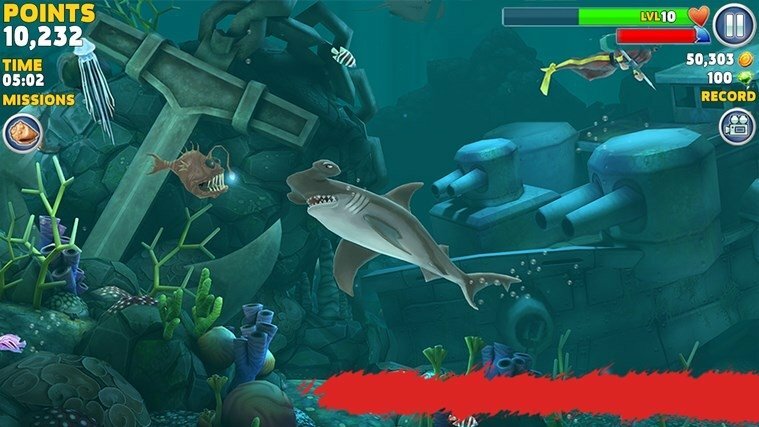 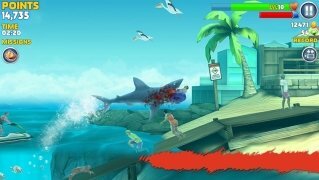 During the game, a series of missions are proposed so that you can earn coins and rewards, being able to use them to improve the shark's skills. Unlock sharks and improve their features. 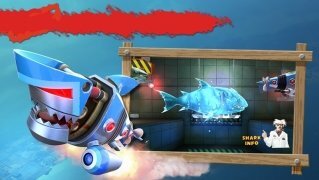 Around fifty different missions to be completed. Download Hungry Shark Evolution and turn your shark into the terror of the seas.